We show up. We get the job done and we do it within budget. Plain and Simple! Our mission at Kiyak Building Company LLC is to provide quality home building services to the consumer, delivered with unmatched professionalism, attention to detail and integrity. Attention to fine detail matters! 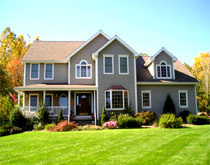 Read more about what we can do and how we can help with your home building needs. Locally owned in Southington. Serving all of central CT including towns of Southington, Cheshire, Farmington, Avon, West Hartford, Wallingford, Meriden, Berlin, Middlebury, Southbury, Plainville, Bristol, New Britain and more.